We are certified as a Leader in Dementia Care in the state of Colorado. This certification is extremely rare. Only 1% of home care providers in the state of Colorado have earned this certification. 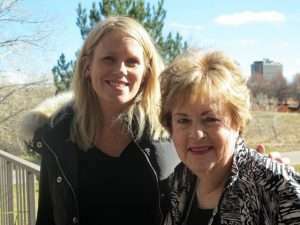 Certification is based on recognition of 75% of staff having completed eight hours of Leaders in Dementia Care Training through the Alzheimer’s Association. We understand the daily difficulties faced by those living with Alzheimer’s and dementia—and their families. It’s our job to lighten those weights by making sure our caregivers are trained and have the knowledge and skills necessary to care for those with dementia and their families. This new training standard, which is fully supported by the Colorado Department of Public Health and Environment, was introduced as part of the recommendations in the Colorado State Alzheimer’s Disease Plan created by the Colorado Alzheimer’s Coordinating Council. Home is a place of comfort and familiarity in many ways. For a person with memory loss, research indicates that remaining in these familiar surroundings can play a significant role in managing the disease process. Some may experience momentary confusion or lapses in memory while others are dealing with advanced stages of dementia. Specially trained caregivers are sensitive to the care and safety needs of a client with dementia. We encourage your elderly parent or family member to engage in memory care activities through reminiscence therapy, puzzles and games. We provide activities that can improve a person’s quality of life such as music and other activities to stimulate the senses. As we age, some change in memory is normal, but the symptoms of Alzheimer’s disease are more than simple lapses in memory. Seniors with Alzheimer’s experience difficulties with learning, communicating, thinking and reasoning, problems severe enough to have an impact on an individual’s family life, work and social activities. The Alzheimer’s Association believes that it is critical for people diagnosed with dementia and their families to receive information, care and support as early as possible. In-home care ranges from help a few hours a week to live-in help, depending on your needs. We can help you evaluate what sort of tasks you’d like help with and coordinate times. Getting help with basic tasks like housekeeping, shopping or other errands can help you provide more focused care for your loved one. As Alzheimer’s progresses, the physical and mental demands can gradually become overwhelming for an individual. Physical tasks like bathing, dressing, and assistance with toileting may require total assistance. As such, the level of supervision required also increases with time. We can adjust our services to meet your needs as they change. The Alzheimer’s Association has developed a checklist of common symptoms to help in recognizing the difference between normal age-related memory changes and possible warning signs of Alzheimer’s disease. However, there is no clear- cut line between normal changes and warning signs so it is always a good idea to check with a doctor if a person’s level of function seems to be changing. Watching your loved one lose interest in the things they once loved is difficult. Even though you want to help and encourage them, the vitality they had for a favorite pastime might diminish. Sometimes, dementia and Alzheimer’s can even result in Sundowner’s Syndrome. The hardest part for family caregivers is creating and sticking to a routine, but the benefits of routine are a necessity. By having a time for everything, it sharpens focus, eases agitation, and keeps physical requirements in check. A good routine will slow decline and create the best lifestyle possible despite losing abilities. Schedule: Keep a sense of structure and familiarity by maintaining consistent times for activities such as waking up, mealtimes, bathing, dressing, receiving visitors, and bedtime. Peace: When your loved one is aggravated, offer calm reassurance that they are in a safe place. Arguing is not recommended. Try to find out if there is something your loved one is in need of. Eliminate: Limit evening intake of coffee, soda and other beverages containing caffeine. Cue: Let your loved one know what to expect even if you are not sure that they are on board. You can use cues to establish the different times of day. In the morning you can open the curtains to let sunlight in. In the evening, you can put on quiet music to indicate it’s bedtime. Include: Doing everything on your own might be easier, but try to involve your loved one in daily activities as much as they are able. They may not be able to tie their shoes, but putting their clothes in the hamper is doable. Clipping plants outside may not be safe, but they may be able to weed, plant, or water. Use your best judgment as to what is safe and what they can handle. Activity: Explain activities beforehand and evaluate whether or not they will be able to do an activity to avoid frustration. If the health of your loved one permits, an increase in daily physical activity may be beneficial. Lights: Allowing your loved one to determine where they will sleep each night, with low light to limit confusion. Establishing all of the components of a routine takes time, patience and help. If your loved one would like to stay home, allow others to provide the assistance you need to maintain a happy home. They can also make great assistants for any number of activities that work well for those with Alzheimer’s and dementia. You and your loved one should create your own unique routine, here’s how. Every year, the medical community makes important inroads into the possible causes of and treatments for dementia and Alzheimer’s disease. Our goal is always to provide the highest level of compassionate, professional care to ensure that all of our clients can best enjoy their independence. With this in mind, we will continue to build our team’s knowledge and skills to better serve our clients with dementia and their families. If a loved one’s behaviors seem to be changing and you are noticing other signs of forgetfulness, approaching Alzheimer’s proactively is important. Alzheimer’s disease is a degenerative disease. As it advances, around-the-clock care will eventually be necessary. Thinking ahead gives you time to prepare. We can help you explore your options so you can make informed decisions. One of those decisions is what type of care to receive and at what point. In home care from certified Alzheimers and Dementia care providers can help. Every situation is different. Sometimes the gap can be bridged by bringing in additional assistance, such as in-home help or other family members, but other times, the burden is just too much. We understand what you are going through. You don’t have to bear the burden of Alzheimer’s and dementia alone. We’ve specialized in caring for those who are living with degenerative diseases due to aging. 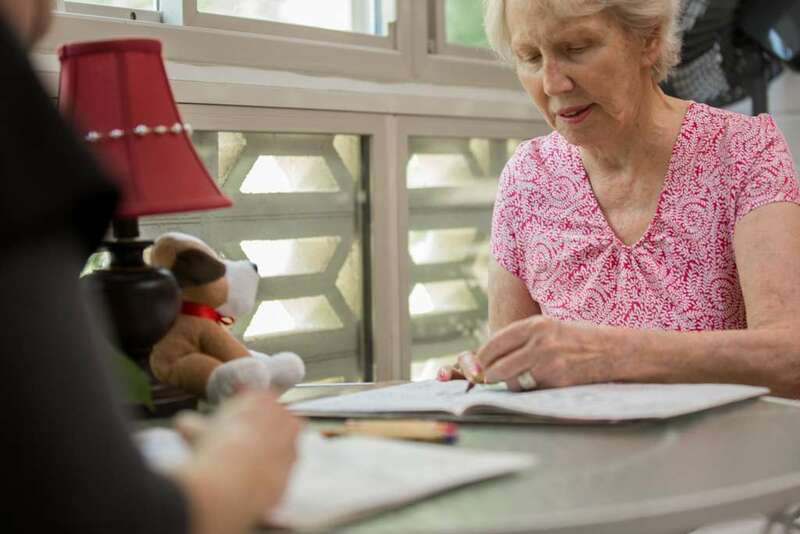 There are many options to explore for receiving the help you need and in-home care is becoming an increasingly popular choice. So if you would like to learn more about what in home care can do to help you and your loved one, please get in touch with us today.